Embarrassed by certain patches of hair? Sick of shaving? Laser hair removal has become one of the most popular and common ways to manage unwanted, dark or coarse hair. Laser hair removal is less painful than waxing or electrolysis and leaves your skin smooth, eliminating the bumpy, irritated skin associated with shaving and waxing. We have helped men and women from Pittsburgh to Cranberry Township and beyond look and feel their best with our med spa treatments. Contact us online today or call 724-759-7777 to schedule your laser hair removal consultation. Watch as Beleza’s certified laser technician explains and performs laser hair removal. When you come into the office for your laser hair removal consultation, you will meet our laser technician. She will spend time with you, answering any questions you may have, discussing your concerns, and going over your skincare history with you. We will need to know whether or not you have been spending time in the sun. The laser hair removal procedure can increase your risk of hyper-pigmentation, so it is best performed when your exposure to sunlight is minimal. Therefore, your series of laser hair removal treatments is best done in the fall, winter or spring, and it is imperative to consistently apply sunscreen prior to and following the procedure in order to minimize your risk of hyperpigmentation or irritation. 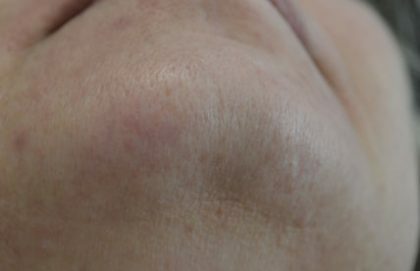 While our lasers are highly effective, they, like all others, require multiple treatments in order for the effects to be permanent. The number of treatments varies from patient to patient, and is determined by a patient’s skin tone, hair color, and the coarseness of the patient’s hair. These specifics will be discussed in consultation between our laser tech and the patient prior to treatment. To determine whether or not you are a candidate for laser hair removal treatments,call our office and schedule a consultation with our certified laser technician. The Beleza Plastic Surgery Center, located between Pittsburgh and Cranberry Township, is a great location for local hair removal. Because effective laser hair removal requires up to six treatments, you’re going to want to choose a laser center within a reasonable proximity to your home or work. Combine our great location with the fact that our laser is one of the safest and most advanced hair removal instruments available and it’s no wonder that Beleza Plastic Surgery is the first choice for hair removal in the Pittsburgh area. Typical laser hair removal patients are those who wish to remove and/or greatly reduce unwanted hair. The cause of the excess hair could be any of a variety of factors from hirsutism, to PCOS, to just being born hairy! Women often choose to have their underarms or bikini areas done, while some men may choose to do their backs, chests, or even fingers. Why do I have to be so cautious about sun exposure while undergoing laser hair removal treatments? Laser treatments, such as laser hair removal can greatly increase your skin’s sensitivity to UVA & UVB radiation. 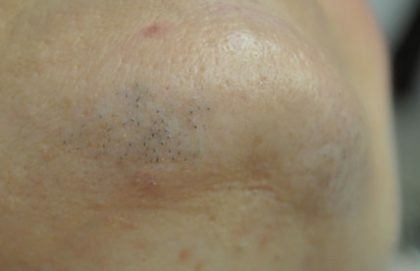 Exposure for the four weeks leading up to treatment and four weeks after treatment can lead to adverse effects, such as hyperpigmentation or rashes. To minimize your risk, we recommend always wearing your sunscreen, and recommend postponing treatment if you are planning on spending a significant amount of time in the sun (e.g. if you are going on vacation or spending a lot of time at the pool).